Painting Vs. Staining Your Deck | Which Option Is Best? A beautiful deck is a great American tradition. Decks add life and personality to the exterior of your home. They can be anything from inviting, classic meeting spaces to an elegant spot to spend time alone or entertain guests. Your deck is an extension of the rest of your home — it can add curb appeal, value and living space. The size and popularity of outdoor decks in the upscale market is increasing, even in areas with colder climates. Decks are rising in popularity because of what’s happening indoors in many American homes. 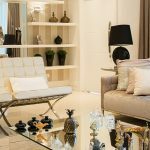 As walls come down to make room for open floor plans, homeowners are doing away with formal living spaces. The deck has become a revered outdoor space of the modern American home. Every homeowner should realize that exterior decks require maintenance. Unprotected wood quickly becomes unsightly, as it absorbs moisture. It will crack, warp and twist without the proper protection. The sun’s ultraviolet rays will discolor the deck, whether it’s unprotected, painted or stained. The sun will also break down the wood’s lignin — the natural glue that holds its fibers together. An older painted deck will eventually need a new paint job, or you might consider stripping and staining it. Stain on a deck will only last a few years. As a homeowner, you’ll have to decide how to keep your deck looking its best. Proper maintenance is an unavoidable cost that comes with enjoying a gorgeous deck. Is It Better to Paint or Stain a Deck? A common question facing many homeowners is whether they should paint or stain their deck when it’s in need of attention — and unfortunately, it doesn’t come with a simple answer. 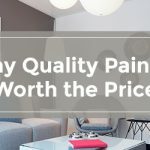 Neither option will last forever, but a professional painting service that’s fully bonded, licensed and insured will bring you the best results and can guide you in the right direction. Let’s examine the pros and cons that come with painting and staining a deck, so you can make the best decision. There are plenty of reasons to paint your deck, but you should know that it masks the detailed elements of the wood that make it unique. It lasts longer and comes with many color options, but it ensconces what makes your deck special. Paint provides a uniform look, which appeals to many homeowners. Over time, the uniform paint will peel and crack, which looks rather unsightly, but it might be a good option if your deck is particularly old and weathered. Let’s take a closer look at all the details. It’s fairly easy to maintain. When you opt to paint your deck, you won’t have to refinish it anytime soon. A quality paint job, finished by a trusted professional, can last for ten years before needing repainting. Conversely, stains need reapplied every few years because they don’t offer the same protection against outdoor elements. You enjoy more color options. If you choose to paint your deck, you won’t be limited in your color options. You can easily match the deck to rest of your home’s exterior, or use your deck to complement the color of your house. Many homeowners choose to paint the exterior of their home while painting the deck, which provides an excellent opportunity to unify your exterior space. Combining the two projects gives you the opportunity to make a striking impression that will last for years. Paint hides flaws. If your deck is old and weathered, you may not want to display its every detail. Painting will mask the flaws in your wooden deck, making it a great option if your deck is near the end of its life. Painting can restore an old deck to like-new condition. Painting traps moisture in the wood. Decks are horizontal, so the paint simply lies on it, which leads to water pooling in certain areas. Over time, this traps moisture in the wood. As the deck naturally expands and contracts with the outdoor elements, the paint will eventually begin to chip and peel. Painting conceals the beauty of the wood. When you paint your wooden deck, you cover the beautiful elements that make it unique. If you love the look and feel of your wooden deck, you may regret covering up its natural beauty. Paint is generally permanent. Once you decide to paint your deck, it’s almost a given that you’ll always paint it. 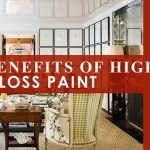 You can easily go from a stain to paint, but going from paint to stain is difficult, time consuming and expensive — it would require going to extreme measures. If you decide to paint your exterior deck, it’s wise to hire a professional if you want optimal results that will last for years. An experienced professional will listen to your vision, provide you with feasible options and give you a quote. Properly prep the deck for painting. The professional should spray the surface with a mold deterrent and then cleaned, rinsed and dried. Rotten boards should be replaced, nails and screws should be set below the surface and holes filled with an exterior grade wood filler, which will repel moisture. If necessary, they’ll strip the wood of existing finishes. Preserve the wood. After cleaning, they’ll apply a paintable, water-repellant preservative, before moving on to priming. Prime all surfaces. A good primer will improve adhesion, increase protection from moisture, and add up to two years of extra life to your paint job. Explain your paint options. You can use oil or latex paint for exterior decks. Oil-based paints typically last longer and provide better protection against moisture, but they’re very shiny and don’t withstand high heat over time. Latex paints aren’t as tough, but they hold up better in regions with high temperatures. They also come in a variety of sheens, so you don’t have to use a glossy finish. Paint all surfaces. A professional exterior painting service will address every surface, including those not directly exposed to the sunlight and other outdoor elements, such as the end grain. It’s important to use at least two coats of a high-quality exterior paint. If painting doesn’t fit the new vision for home’s deck space, consider staining. Solid stains. Solid stains create a darker, uniform look and cover most of the wood’s natural elements like paint. Semitransparent stains. Offering a touch of color but allowing the wood’s unique characteristics and patterns to shine through, semi-transparent stains provide weatherproofing and UV protection. Clear wood preserves. This type of stain is best for gorgeous wood decks, such as rich cedar and redwood, where you want to preserve the natural color of the wood and showcase its beauty. Some clear wood preserves contain UV protection, to keep the wood from graying over time. Most also contain fungicide, to protect the wood from mold and mildew. They also contain less wax than a clear water repellent or sealer. Unfortunately, staining doesn’t last as long as a quality paint job. Let’s take a closer look at the pros and cons of staining your deck, so you can decide if it’s right for you. You choose how much of the wood’s color, grain and texture are visible. When you paint your deck, you’ll cover the entire wood surface with multiple thick, opaque coatings. When you stain, however, you can choose how much or how of little the natural wood shows through. You choose the level of opacity — from clear to solid-colored. Quality stains penetrate the wood grain. A quality stain will seal the wood grain, so it prevents moisture from penetrating your deck and causing it to rot. A good stain generally provides better moisture retention than paint. Staining allows you to highlight the beauty of your wooden deck. If your deck is made of beautiful wood, right stain and finish will enhance it. Unlike paint, which completely masks the wood’s beauty, a stain allows you to highlight its natural qualities. If your deck is made of cypress, redwood or cedar, and it’s in good shape, you may choose to stain it to showcase its color. Stain is generally less slippery than paint. Some stains are slick, but for the most part they’re flatter and create a less slippery surface than a thick, quality paint job. If safety and slippage is a concern for your deck, stain is generally a better option. It won’t last for more than a few years. On average, decks need to be stained again every other year. A quality, professional paint job will last longer than a quality, professional deck staining. 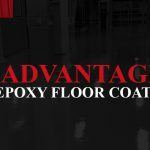 However, an oil-based semitransparent stain can last for three to five years. Staining doesn’t fill cracks. You can use paint to cover flaws and fill in small holes and grooves in a wooden deck. You can’t rely on stain as a repair method, as it’s thinner than paint and won’t do much to fill in cracks and splinters. Certain top-quality woods don’t hold a stain very well. Tropical hardwoods make for stunningly gorgeous decks, but they’re very dense and don’t hold stains very well. If you’re determined to apply a stain — understandable considering the natural beauty of tropical hardwoods — opt for an oil-based penetrating stain. If you decide not to apply a stain, apply a clear wood preservative every three to four years, to block damaging UV rays. Staining won’t hide every flaw in the wood. If your deck is old and particularly weathered, a stain won’t work miracles. Paint may be a better choice if you’re looking for an option to hide flaws in the material. Staining your deck comes with many different choices, and a trusted professional will explain your options and help you decide on the best option to make your vision a reality. Stain is available in many colors, so it’s important to test an area of your deck with the stain you want to use. The resulting color largely depends on the color of the wood itself. Explain all of your choices. There are many considerations to make when staining a deck and a professional will discuss your options with you and give you expert, specialized advice. Prepare the deck for staining. A professional will properly clean your deck for staining, whether it’s an older, weathered deck or brand-new. Older decks may need stripping, and they most definitely need thoroughly cleaned to remove dirt and other residue. New decks need cleaned to remove any mill scale, which is a crushing of the grain that takes place during the milling process. A professional also knows the importance of adding a wood brightener to restore the appearance of weathered wood. Properly rinse. Professionals also understand the importance of properly rinsing the deck after cleaning, stripping, brightening and otherwise preparing the deck for staining. If any chemicals remain on the wood, they can break down the stain over time. Use a prime, premium quality stain. A trusted professional will use a high-quality premium stain. Better stains are more expensive, and optimal results require a quality product. Both paint and stain can increase the life of your wooden exterior deck. If left completely untreated, your deck won’t enjoy a long lifespan. Paint and stain each come with benefits that increase the longevity and quality of your deck space, but one option is likely best for your situation. A professional exterior painting service can help you decide which option is right for you if you’re unsure. After refinishing your deck is the perfect time to repaint your home’s exterior to match. When you upgrade the look of your deck, consider complementing it with another fresh upgrade. Your home’s exterior is a focal point for curb appeal, and you don’t have to go bold to make a dramatic change. Keep your color palate simple, as consistency and simplicity will highlight your home’s charm and elegance. When it’s time to upgrade your exterior, consider Shoreline Painting and Drywall. 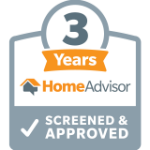 We’ve been exceeding expectations for nearly 40 years, and we can do the same for you. 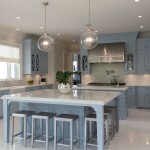 We are passionate about transforming your house to a world-class home. We offer much more than paint or stain jobs. 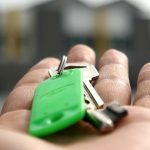 We believe in listening to your vision and presenting you with options until you discover what best suits your desires. 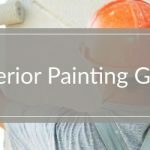 Shoreline Painting and Drywall hires the industry’s top talent — our team members possess the skills needed to satisfy your request for a magnificent home exterior. 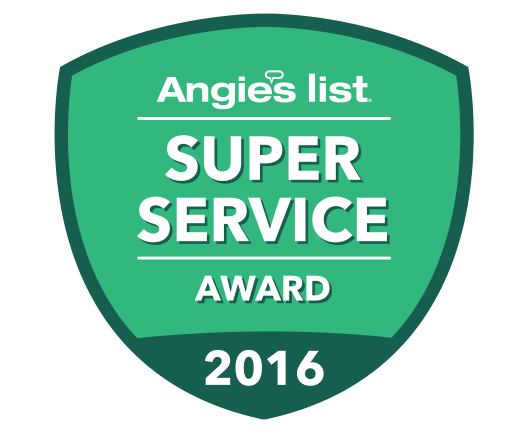 Whether you want an Old-Italian finish, a classic stain and clear system or anything in between, we will exceed your expectations. Visit our testimonials page to hear from our many satisfied clients, request a quote online or contact us today at (203) 285 – 3479. Choose to work with professionals who stand for quality, expertise and integrity.